After 24 years of experience in the signage industry, we have learned a thing or two about what makes a sign, not only beautiful to look at, but meaningful and effective in getting you the visibility and recognition you deserve. At Sojourn we’ve seen it all, and experience has taught us to see around the corners of each and every project. We are a solutions partner for our customers. Our knowledgeable team works to a six-step process that takes you from concept to completion, as well as everything that can happen in between and beyond, and that’s where our experience, flexibility and versatility come in. 1. Have other sign companies not answered the phone or returned your calls? At Sojourn Signs, we always answer our phone and get back to you in a timely manner. No answering machines or menu selections. We’re friendly, accessible and responsive. We’re here to help you. 2. 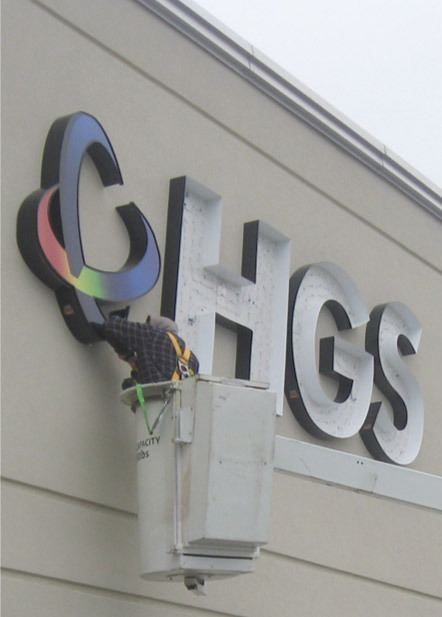 Have you experienced slow turn-around times, and late delivery and/or installation of your signage? Sojourn Signs is responsive to your needs and your schedule. We work quickly and efficiently. Simply put, we get the job done when we say we will. 3. Have you been given a final product/sign that does not deliver on quality? Sojourns Signs is committed to integrity and quality in our products and processes. As your experienced solutions partner, we work with you to communicate your image to your audience. We know the best materials and the processes that go into making great signage, inside and out. This means you get quality in the form of crisp, clean, and beautiful graphics, combined with the highest quality materials, sound fabrication processes, and reliable installation / maintenance services.